â€œKeep it heavy, keep it fast and keep it clever. Never pace to anything. It is an active record.â€ Thatâ€™s how bassist Andrew â€œAJâ€ Jacobs, the sole founding member of the band, effectively encapsulates what Mutiny Within and their self-titled debut are about. The resulting album: "Mutiny Within", is the culmination of years of figuring it out, getting it together, and finally making it work. 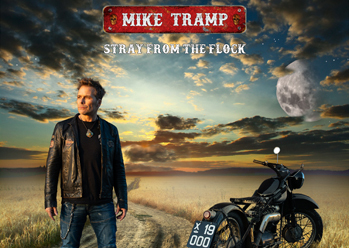 Itâ€™s all manifested in an album that is almost shocking in its technical prowess and its use of melody amid maelstrom. While the band may have started out as a Children of Bodom cover band, the sextet truly stepped on the path to recognition when they started writing their own songs. 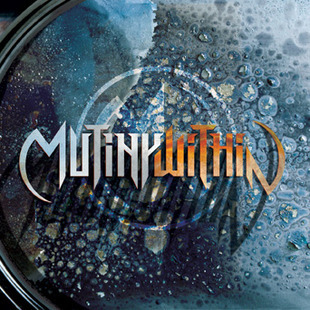 Originating from New Jersey, known for producing some of the top, up â€˜n coming metal talent in recent years, Mutiny Within also demonstrated their ability to remain ahead of the curve by self producing 50+ demo tracks and utilising social networking websites to take their band to the next level. Jacobs formed the band in 2002 and endured a turbulent, yet typical, early existence until he solidified the lineup. His younger brother Brandon plays guitar for Mutiny Within and was a mere 18-years-old when he recorded the album! 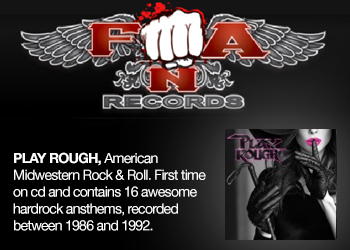 He demonstrates a guitar playing ability well beyond his years, and is quickly gaining recognition amongst guitarists worldwide. Keyboardist Drew Stavola can surpass most of his peers with his keyboard shredding skills, but can also keep up with the best when it comes to slower and more atmospheric parts. Vocalist Chris Clancy came over from England after the band discovered him via an impressive video on YouTube. This is a band, who with their self-titled debut, are on the verge of being the valedictorians of the Guitar Hero generation. They demonstrate an astonishing technical skill with a forward-thinking, mature songwriting style which is rarely seen in a band so young. â€œWe were looking for a vocalist and we saw a video of him singing, so we contacted him and asked him to try putting vocals over one of our songs,â€ Jacobs recalls. â€œHe was the first audition and he rocked it. It was perfect. The only problem was that he lived in England, but he took a risk, flew over and made it work. He lives in my house now.â€ Indeed, Mutiny Within keep things in the family, since the band practices in the basement of drummer Bill Fore, who lives a mere twenty minutes from the Jacobsâ€™ abode. Once Clancy committed to make the trek across the pond, since he had nothing else to lose as a 23-year-old English kid working at a T-Mobile store, they wrote a whopping 50 songs together, fuelling one anotherâ€™s creativity. 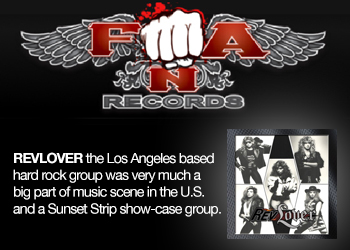 The flurry of activity surrounding the band, including their enthrallingly intense live show, captured the attention of Roadrunner Records, which signed the band. After the signing, the band kept writing and eventually went to work with producer Jason Bieler. Clancyâ€™s college friend, Dan Bage, eventually joined the band in the middle of recording, which not only makes Mutiny Within an unintentionally â€œinternational band,â€ but was a situation that invigorated them, too. â€œDan was so good that it wasnâ€™t like we were in the middle of making the record and got a stranger,â€ Jacobs recalled. â€œIt was Chrisâ€™ friend and he best guy for the job technically. He flew over, we threw him in the studio, he did seven solos, wrote four verses and helped rewrite parts, so he is just as important to the band!â€ Clearly, Mutiny Within are a band that can be thrown into the crackling fires of chaotic situations and emerge stronger and more focused than before. The band was introduced to the metal world in Fall 2009, via their first national tour with Soulfly, Prong and Cattle Decapitation, in addition to the dozens of local, hometown shows theyâ€™ve logged and tucked under their belts and will spend much of the year following the release of Mutiny Within touring and turning heads. Mission accomplished on Mutiny Within: 13 songs that usher in a new generation of metal.